Can Red win both his case and one of his associates? Here's a recap! With one of Red's associates in panic mode because of being in jail, they could vote him out of their business. But when that associate is found dead, Red gets Liz and the FBI to hunt down the person that did this or things would look bad on his end with his business. As Liz and the task force took on the case, they discover that the associate's will gives all the money and businesses to his son, who he never had met before. Liz and Ressler interview him, along with his friends and girlfriend. But something wasn't right and saw that his girlfriend was lying on who she is after seeing getting married to another man. They later got information that she, along with the so-called friends of the associate's son, are in fact working together as alter egos for people that need a plus one when they are not in a relationship. But the twist comes from the friends when they were the ones that falsified the associate's will for his son, that he never knew to get the money and business and later kill him to get the money. But Ressler and Liz get there in time to stop, with Liz having some badass elevator fight. Meanwhile, Red fights for his life in court once again. As he challenges the search and that the only reason why was because he pissed off the cop. Even challenging to listen to the 911 tape, but was denied by the judge as she got to listen to it. In the end, the judge agrees that the search was misused but adds that the gun would be admitted to evidence because of breaking his immunity agreement. But in the end, Red learned that his associate wasn't murdered because of Red. But also that the associate's son gave his approval to keep Red in business. And after talking with Liz, he tells her that he'll find the person that turned him in and get revenge. "Alter Ego" was one hell of an episode. From the case of the week that was very interesting to Red representing himself in court was one hour of television at it's best. And just when you thought Red was going to be set free, he's not and the trail continues because of carrying a gun position that was a volition of his agreement. But it left with one of the best scenes at the end when he tells Liz that he'll find out who made that 911 call and seek his revenge on them. It left a real chilling moment. Not to mention Dembe given Red that he needs to have faith when it comes to good things. Yeah, the associate's death wasn't anything to do with Red but fate was cut short at the end in court. And Ressler's wedding date problem was not only funny but really good for character development. For a second I thought that he was going to ask Liz to go because there was a moment with the way they looked at each other. 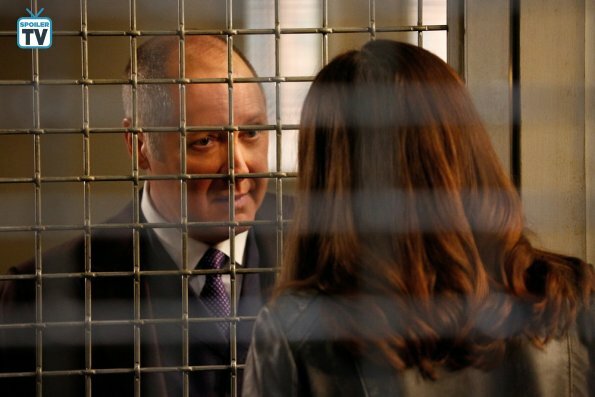 You can catch The Blacklist Fridays at 9/8c on NBC.